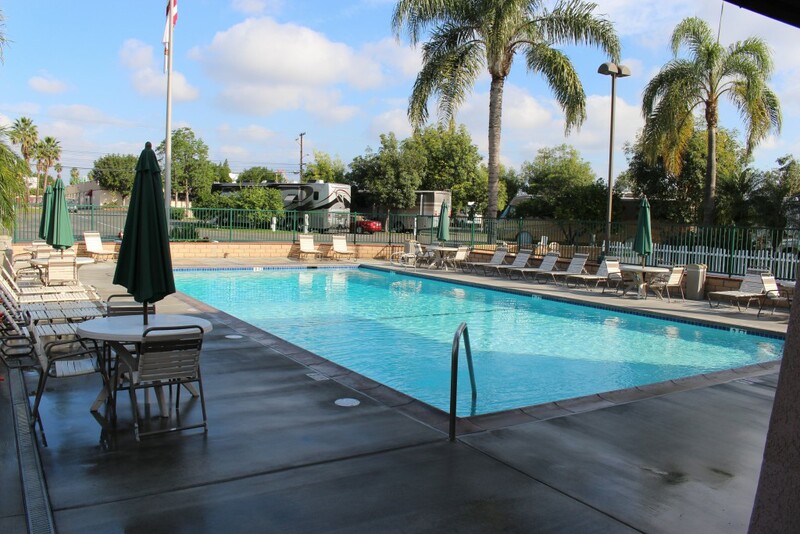 Orangeland RV Park, featuring extra-large, pull-through sites, wireless internet, and a sparkling, year-round heated pool is five minutes close to Disneyland Resort and offers year-round shuttle service and multi-day passes to Disneyland Resort. Orangeland is also within short walking distance of Angel Stadium and the Arrowhead Pond. 10% OFF on daily rates is available for GoodSam, AAA, CRR, AARP and Veterans. From Junction I-5 & Katella Exit, go 2 miles East on Katella Avenue, then 150 ft. Southeast on Struck Avenue to entrance on right.